mDuo13 wrote this. Kudos to him. Switch to using a validator list site (vl.ripple.com). This is where we are now. 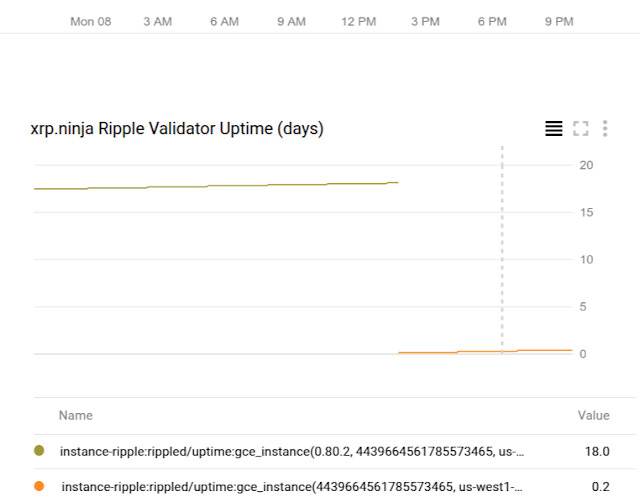 All rippled instances configured to use the site can automatically follow Ripple's updates to the recommended set of validators, in lockstep. This adds security to the existing validators. By using tokens, that Ripple can keep the master validator keys offline and periodically rotate the tokens, for example if an operations engineer who might've had access to the config files leaves the company. Update the site to add 16 new Ripple-controlled validators to the existing 5. The main reason for this is so that any new individual validator isn't too large a slice of the pie. This will probably occur gradually over the course of 2018 and beyond. Eventually, as the size of the network has grown, Ripple will encourage others to run validator list sites similar to vl.ripple.com. As long as the lists published on the different sites have sufficient overlap, servers using any list won't fork away from each other. The "Secret Future Stuff" I alluded to, which may also occur before or as part of step 5.